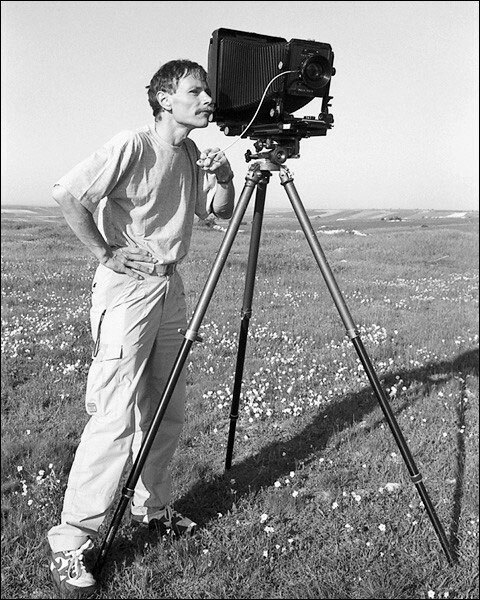 View camera Toyo 810M (negative format 8x10"). This practically indestructible travel camera was my preferred workhorse from 1990 until 2001. Together with 4 lenses, 10 film sheet film holders and a solid tripod the overall weight of the equipment was more than 50 pounds. Weight without lens is appr. 6 pounds. Combination of the principle of the optical bench with the drop bed mechanics of a view camera. The refined turning mechanism allows a folding down to minimum space. 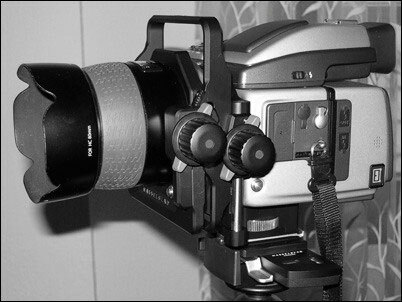 This camera still serves as a fall back system, but with the change to digital technique it is in use less and less. 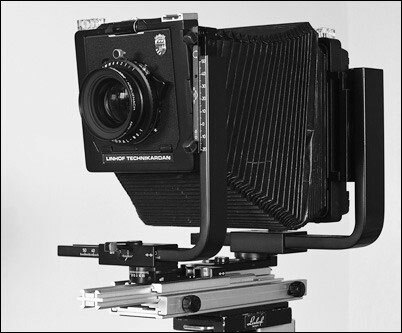 The digital medium format camera from Hasselblad with the mounted tilt/shift adapter which conserves to some extent the possibilities and the feeling of large format. 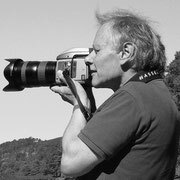 In spite of the weight the compact construction enables a use without tripod and thus offers much more flexibility than a large format camera.